Experience the Three Rivers Trail firsthand on October 20, 2018! 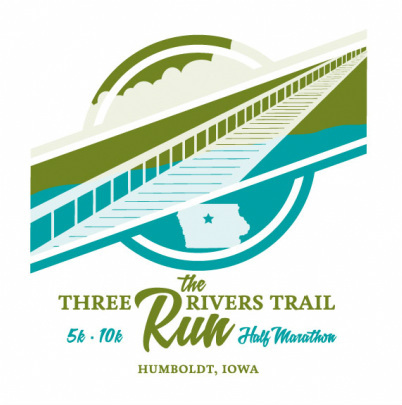 The Three Rivers Trail is a great asset to Humboldt County and this run highlights the benefits of the trail to the community. The proceeds of this race will go to maintenance and upgrades to the trail. There will be three distances: Half Marathon, 10K and 5K run/walk. The 5K run/walk is an untimed fun run with the top 5 finishers receiving a prize. Each race will utilize the trail to a large extent. The surface is great for running; as race directors we have trained for several marathons on the trail and wanted to share the joy of running on the trail. The Three Rivers Trail runs for 33 miles. Its west end has been completed to the outskirts of Rolfe, and the east end is currently 1.5 miles west of Eagle Grove. The trail gets its name from the fact that it crosses three rivers; the west branch of the Des Moines River, the east branch of the Des Moines River, and the Boone River. 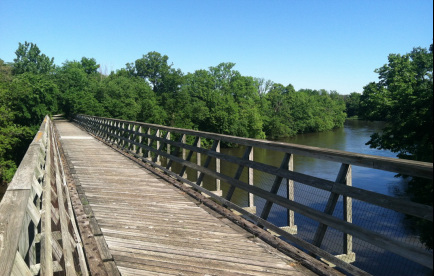 The western part of the trail parallels the Des Moines River for several miles. The trail passes through woodlands, grasslands, marshy areas, and open prairie. The trail has a 10 foot width of crushed limestone. Parking lots, shelter houses, and restrooms have been added along the route. This is a great Iowa trail that few people know about.